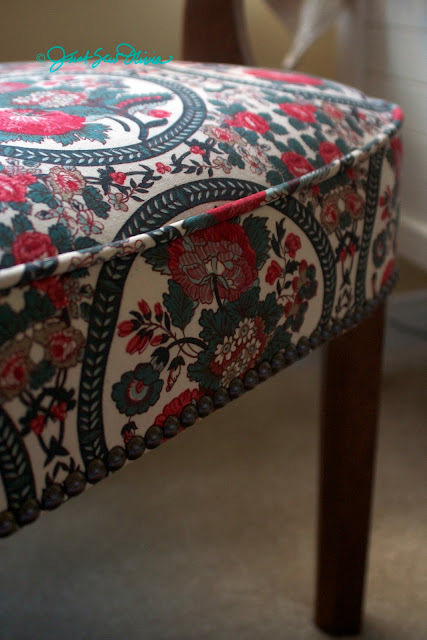 No more hiding heirloom fabrics in a bin under the bed!...Or hiding heirloom furniture in the attic, for that matter. 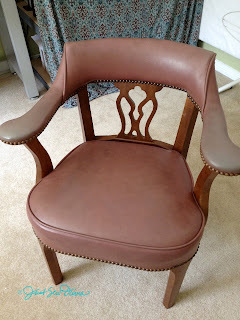 Momma acquired several of these chairs from a bank auction a few years ago. She kept a few and gave a few away -- including one to us. Though ugly in its original state, it sits unbelievably comfortably and is exceptionally well-made. We had ours covered in black vinyl to match our nursery decor a few years ago, and it transformed into something straight out of a posh study. When she moved in, she brought another with her. It was the only chair she could stand to sit in. Several months later and light-years stronger, she left hers here this summer to try living on her own again...and I made big plans to surprise her. Ever since my parents sold "the old home place" just after I left with the Air Force, I've been toting around this bolt of fabric. 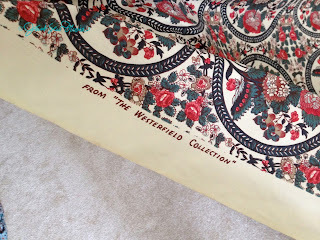 Momma ordered the fabric sometime in the very late 1960s or early 1970s for my sister's bedroom in the farmhouse that served as my childhood home. 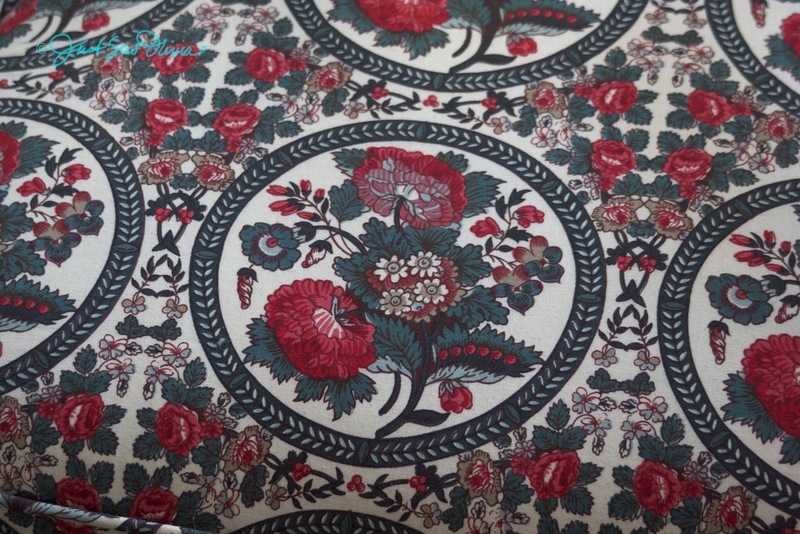 Growing up, I remember reclining on my sister's bed looking at wallpaper and curtains with this design. Truth be told, I thought it was atrocious. It's funny how our tastes change over time, particularly when you add the element of nostalgia to the mix. 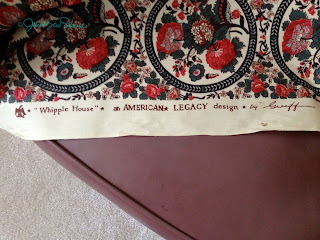 As the story goes, my mother and her sisters Sonja, Kathryn and Barb, were shopping for wallpaper to match my sister's scarlet-colored carpet when they happened across this print. My mother recalls someone saying, "Oh, doesn't this look like something Daddy would like? He so liked big flowers." 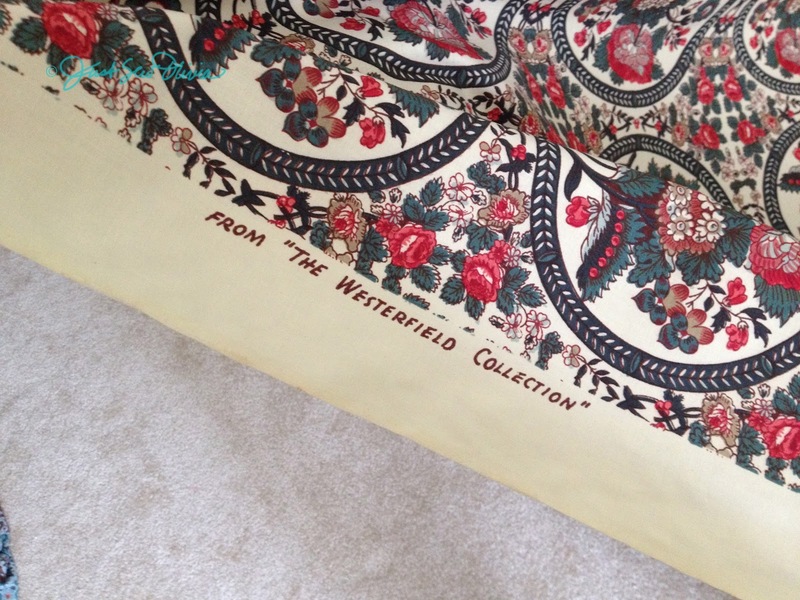 A few weeks later when the order arrived, imagine their surprise when they found the uncanny words "From 'The Westerfield Collection'" -- their family name -- stamped along the selvage. I couldn't wait to marry the chunky, serious chair my mother loved with the delicate, floral cotton that bore her maiden name. It turned out stunning, if quirky. :) Just my style. Unfortunately, the older, brittle fabric didn't stand up to stretching around the chair's arms, even after backing, but the little touch of coordinating vinyl suits me fine under the circumstances. She won't see it in person for a few weeks yet, but I just couldn't keep the secret any longer. 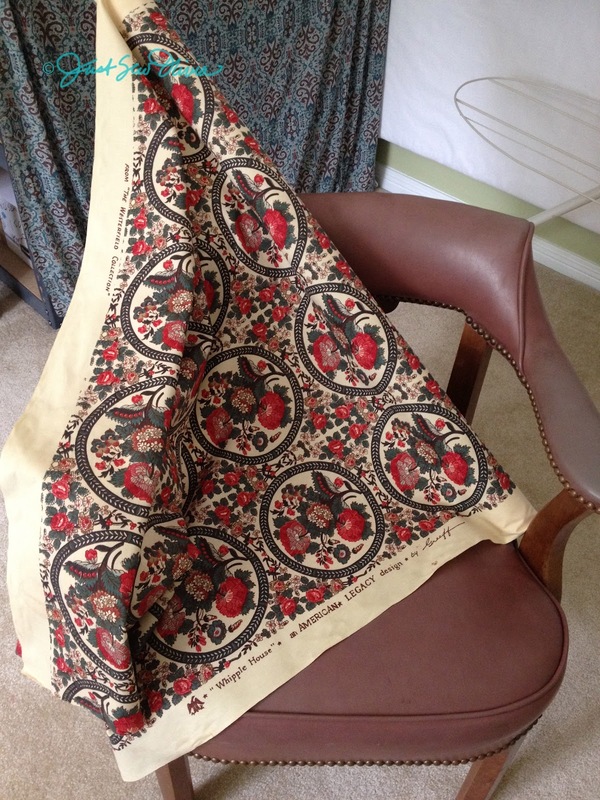 I'm just vibrating with joy to have found a way to use this fabric! 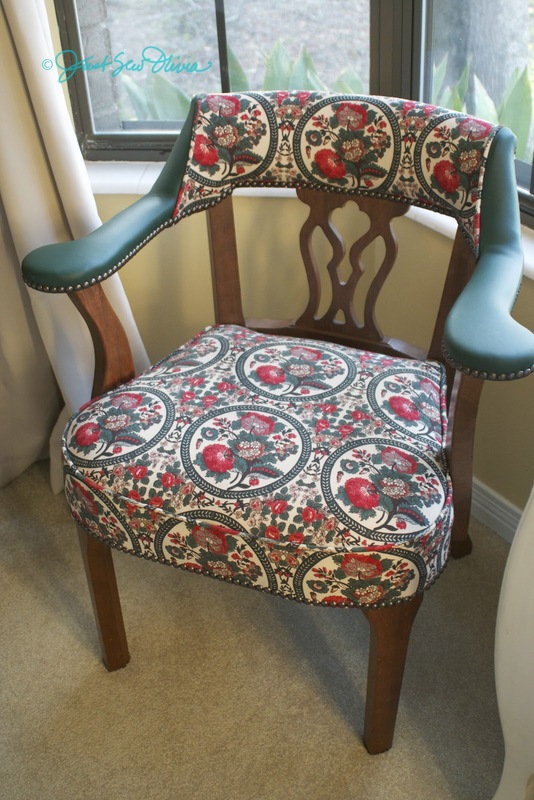 A big shout-out to the talented pros at Design Star Fabrics who did the upholstering! I stumbled across our new home dec fabric store, located between Navarre and Gulf Breeze, (tucked in a warehouse-like building very near The Blake), a few weeks back and couldn't wait to give them some business! 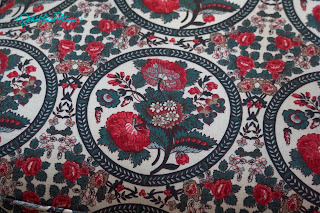 (I also discovered a little quilting fabric store in Navarre. More to come on that.) 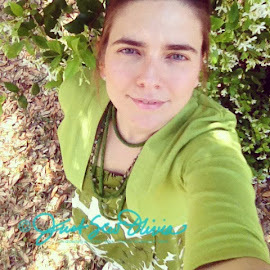 These new small businesses mean no more 20+ mile Pensacola trips for fabric! Hooray! Let's shop locally and keep these folks in business, shall we?